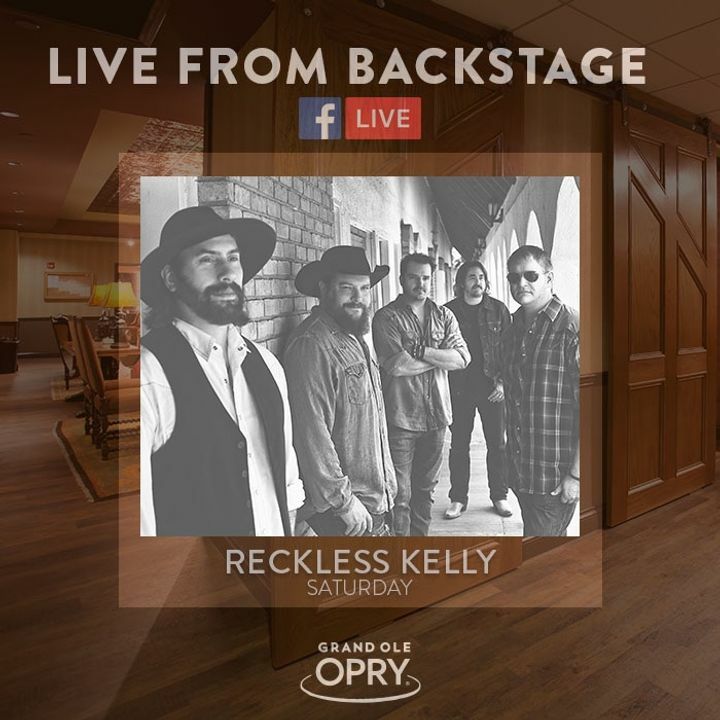 Prior to our Grand Ole Opry Debut this Saturday April 6th, RK is doing a backstage acoustic performance streamed LIVE on the Opry’s FB page at 6PM CST! They put on a great show I only wish it was longer show. I love Reckless Kelly and am counting the days until Tumbleweed festival to see them again. "The mist looks amazing from my angle." David Abeyta. "It's always good to see several campfires from on stage." Willy Braun. We'll have you back anytime, many times at Riverhawk! Amazing concert, again! Very clean and well lit venue from safety perspective for those going alone. New twists on some RK classics, plus bonus of David abeyta singing solo, and fantastic covers of some great songs! Well worth seeing always. Glad they make the trip to the southeast twice a year! Awesome show. Loved the venue!! Not going to lie, we definitely thought we were at the wrong place when we pulled up but had a fantastic time. Thanks RK! Come back soon. Great show! Being in Chicago I only get to see these guys two maybe three times a year. At every show they mix up the set list always making sure that they pull a song or two from their first few albums that we don’t get to hear too often which is awesome. I brought a few friends last night who thought they were going to see another bar band, I assured them that was not the case, they were blown away to see a professional band. The band was wonderful! Loved the lead singer’s interaction with the crowd. You could tell they had played together for years-they were seamless. Enjoyed their covers and their original songs!